As the OMB conducts last-minute meetings with fiduciary rule supporters, the ability to delay the fiduciary rule's implementation date before April 10 is not totally under DOL control. 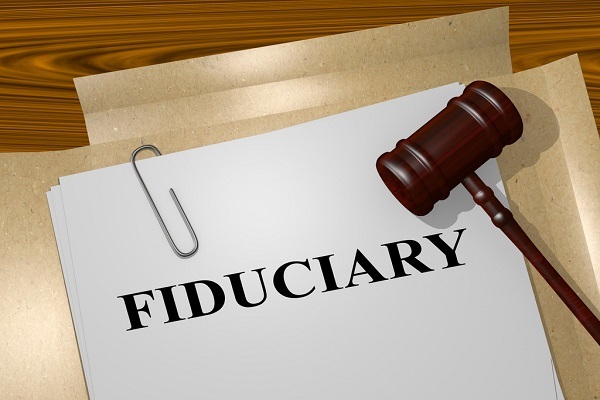 Advisory firms have been moving ahead with compliance under the assumption that the fiduciary rule will be implemented as written on April 10, knowing that it might not be. With less than four business days to go before the April 10 implementation date of the Labor Department’s fiduciary rule, the Office of Management and Budget is still taking meetings with prominent supporters of the rule. The AARP and the CFP Board of Standards, both of which lobbied against the proposed 60-day delay currently under review at OMB, met with regulators as recently as April 3. The last-minute input from stakeholders may or may not be an indication of whether a delay of the rule’s implementation date will be issued before next Monday, April 10. Many stakeholders have presumed that a delay would indeed be issued before April 10. In a field assistance bulletin issued by Labor in March that offered temporary compliance relief in the event a delay was issued after April 10, regulators said the Department intends to decide on the proposed delay before next Monday’s scheduled implementation date. Notwithstanding that intention, the ability to delay the implementation date before next Monday is not a decision that is entirely in the Labor Department’s hands, said Erin Sweeney, an ERISA attorney with Miller & Chevalier. Last November’s Presidential election threw the fiduciary rule, and regulated stakeholders, into a state of limbo. Immediate post-election predictions of the rule’s demise were tempered, as the Trump administration remained mostly silent on the matter throughout the transition phase and early days of its administration. Even the February 3 Presidential Memorandum on the fiduciary rule kept open the possibility that at least some aspects of the rule’s primary provisions would survive. “One of the priorities of my Administration is to empower Americans to make their own financial decisions, to facilitate their ability to save for retirement and build the individual wealth necessary to afford typical lifetime expenses, such as buying a home and paying for college, and to withstand unexpected financial emergencies,” President Trump wrote in the memo. The memo instructs the Labor Department to undertake a new analysis of the rule to test its ultimate compatibility with the priority of facilitating the country’s ability to save for retirement. Proponents of the fiduciary rule interpreted the Presidential memo and its priorities as being aligned with the intent and letter of the fiduciary rule. The memo also gave Labor specific directions to vet the rule’s implications on the cost of retirement advice and access to it. Some interpreted those instructions as being aligned with opponents’ criticisms of the rule. In spite of the continuing ambiguity, advisory firms have been moving ahead as quickly as they can under the assumption that the rule will be implemented as written on April 10, knowing there is a “fair possibility” that it won’t be, said Sweeney. Employer plan sponsors have not had that option, said Sweeney. The rule’s implications on advice modules built into 401(k) plans have forced employers to hit the pause button until near-term clarity on the rule’s implementation date, and its ultimate impact on sponsors’ fiduciary obligations under ERISA, are more certain, said Sweeney.